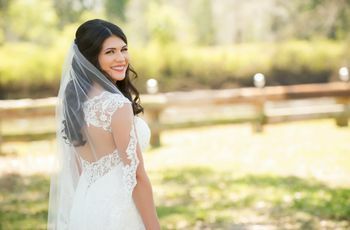 There is no shortage of decisions you’ll have to make about your big day, especially when it comes to your personal look. 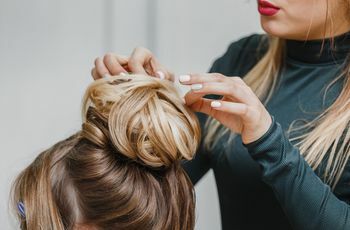 From your dress to your hair and makeup preference, you might even be surprised by the laundry list of decisions you’ll be faced with that solely have to do with you. 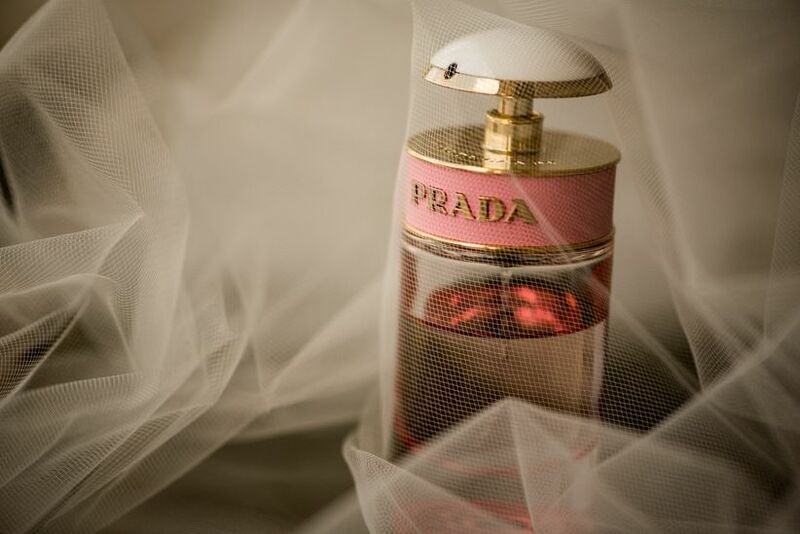 One that many brides don’t realize until the last minute is your perfume of choice. It might sound insignificant to some, but your sense of smell is directly linked to your memory—and your wedding day is one event where you’ll want to remember every single second. “I have been absolutely in love with the male version of this fragrance for years and have been buying it for my now-husband since we started dating. When I considered which perfume I should wear for my wedding, I decided to go to the store and try out the female version. It was love at first sniff! It’s happy, breezy, ocean-like scent that suited our wedding day perfectly. 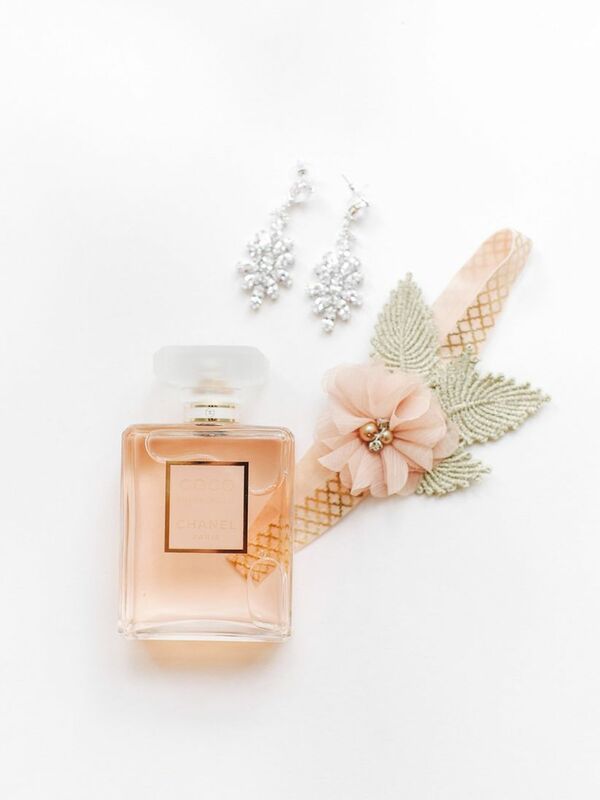 We wore his-and-hers fragrances!” — Jen N.
“I'm wearing Chanel Coco Mademoiselle to as my wedding perfume in two weeks. I discovered it in college and always feel the most beautiful when I have it on.” —Brittany-Rae G.
“The fragrance is so light and fresh; it's perfect for a wedding-day perfume because it's not overpowering. I've been wearing it every summer for more than 10 years—it's timeless!” —Katrina T.
“I got married in April of 2016, and on that day, I wore Ralph Lauren Romance. Of course, the name made total sense, but also, this feminine, sweet scent is one I'd been wearing for years. I wanted to feel happy and beautiful on my wedding day, and most of all, to feel like myself. Wearing Romance was the perfect choice!” —Amy H.
“I got married on a South African Safari in 2014. We flew 20 of our friends and family to a private safari game reserve for five days and nights. Needless to say, I wanted to buy a special wedding perfume for the occasion that was ultra-unique and something you couldn't just find anywhere. After weeks of research, I ended up buying a perfume called ‘Acqua di Colonia Tuberosa’ from the historic Santa Maria Novella, Florence, Italy's 600-year-old perfume store. It’s the most amazing floral perfume I've ever tried! I wore it throughout my wedding trip and, to this day, my husband still notices when I put it on (which is rarely because it's too nice!)" —Diane E.
“It smells like roses and rain. And boy did it rain on our wedding day! It was practically a monsoon.” —Rebecca B. “I was married in upstate New York five years ago and I wore Chanel No. 5 (the same perfume Marilyn Monroe infamously wore) on my wedding day because it’s always been my perfume for special occasions. I wanted to smell elegant and timeless and have a perfume I could also wear on my 10, 20 and even 30th anniversary.” —Kathleen L.
“I made a custom scent at perfumery in New Orleans during my bachelorette weekend! I chose a floral blend and I named it ‘4.26.13’ (my wedding date). I've only worn it on that date, but might pull it out for anniversaries or very special occasions!” —Marina A. “I’ve been wearing this perfume every day for years and years. If I try a different perfume, my husband says it’s not my smell, so it was an obvious choice for my wedding day.” —Leticia L.
“I know, so random and not super sophisticated. But it's my fave scent, always has been. As a teen and college student, Betsey was my favorite designer, so I wore her sweet perfume into my early 20s to support her, etc. As I got older (I wed at 32) I wanted to wear a fragrance that was a little sweet and summery, but also familiar to me and connected to my ‘youth,’ even though I was taking this huge ‘adult’ step and getting married. I’m always a kid at heart--I'm a little quirky, like Betsey, sans the crazy hair! So, that's why I went with my signature. I still wear it—and I still get compliments on it. What can I say? I'm a creature of habit.” —Rachel S.
“I absolutely loved the aquatic and floral notes and how it made me feel feminine, pretty and clean. It was also the first fragrances (and one of the only to this day!) that my then-boyfriend and now-husband of 23 years complimented and told me how much he liked the way I smelled when I wore it. So, of course, it was the natural choice for my wedding day. I rarely wear it anymore, but whenever I smell it, brings back wonderful memories.” — Lori S.